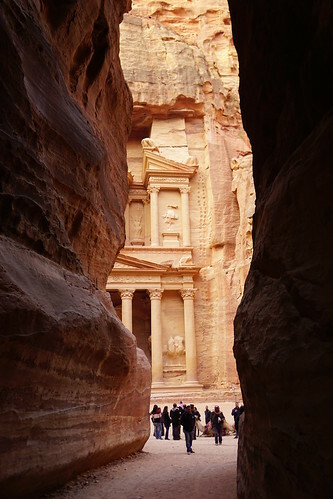 Travel Talk Essential Jordan Tour, Part 4: Petra! So far I've talked about my Travel Talk Essential Jordan tour in Amman, Jerash, and Wadi Rum desert. On day 4, we left Wadi Rum and made our way for what is (to me) the highlight of the trip: Petra! 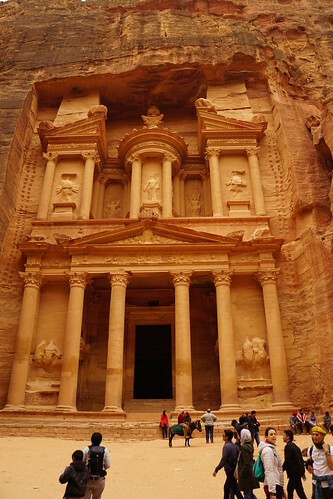 Petra is the ancient Nabatean city built into the sandstone rocks and cliffs. So, all I knew about Petra before was The Treasury, which you and I have seen on many Instagrams and of course, Indiana Jones and the Last Crusade. I didn't realize how big Petra really was! It is 264 sq km (102 sq miles). So what I'm basically saying is, be prepared for a hike or at least a long walk. The main trail goes from the Visitor's Center to the start of the steps to the Monastery, and it is 4km long (2.5 miles) - that does not include the steps though. From the visitor's center you will walk through The Siq. It's a 1km crack in the mountain so you are walking in a narrow corridor surrounded by tall sandstone cliffs. There are a few things to see in the Siq, a taste of what's to come. At the end is a view you might have seen on Instagram as well. The narrow corridor opening up to the impressive Treasury! And there it is, in full view. I wonder how long it took the Nabateans to carve this into the cliffs. 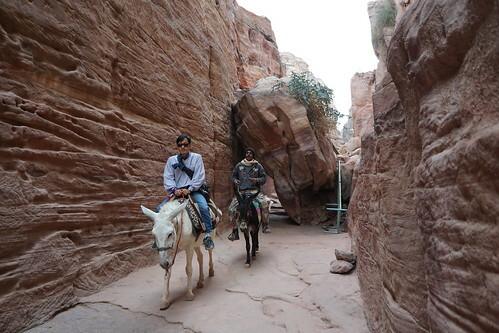 Now, if you really want to see the monastery but don't think you can cut it hiking up the steps, they do offer donkey rides (I'm not sure how much, depends on how good you are at negotiating, but one of the people on our tour group got one for 10JD). She did say riding the donkey down the stairs was a bit scary! Anyway, I decided to be healthy and hiked it.